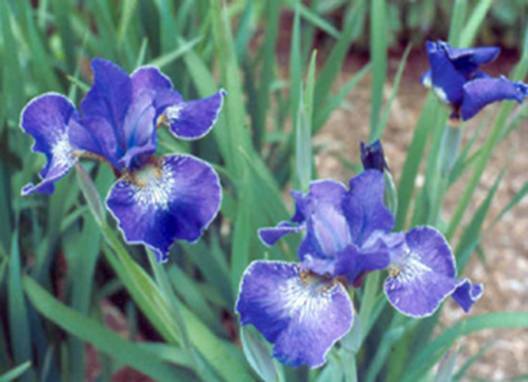 This lovely medium blue flower is an "attention-getter" in our gardens. 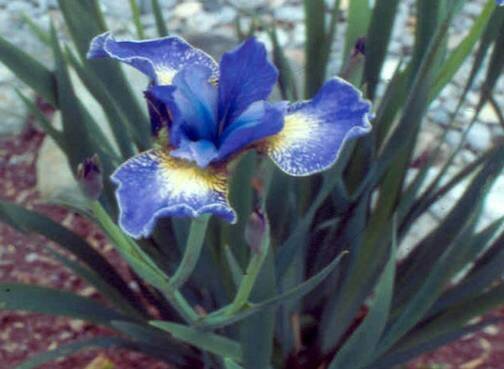 Because its blaze and haft marks are scarcely visible, the flower reads as a strong medium blue. 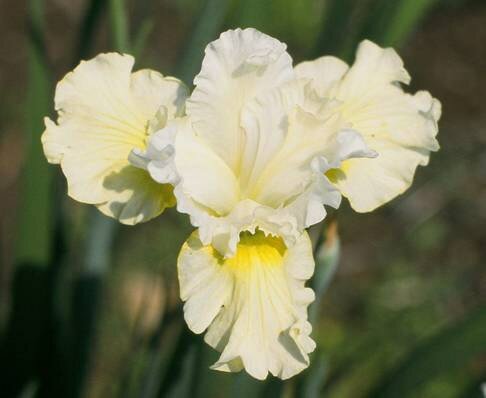 A strong overall yellow with 5 ruffled flowers of excellent form and branching, round and ruffled falls fade slowly while the crimped edges remain a strong yellow throughout the bloom period. 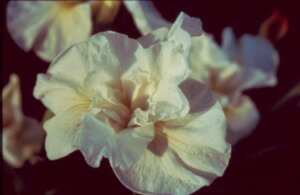 This lovely yellow-white, ruffled 4 ½" flower emerges from a ruffled bud. The flaring form catches the light and transforms it into a sparkle. Two branches, yellow blaze. 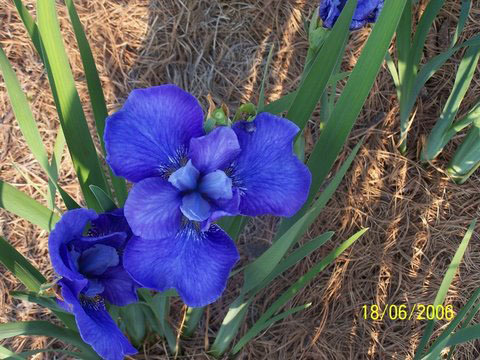 Medium violet-blue flowers are the first to open at our garden. Repeat bloom gives us 8 weeks total flowering. 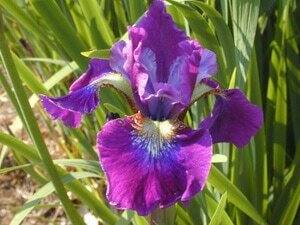 The most outstanding feature of these excellent flowers is the dramatically stippled white signals bursting out on the medium violet-blue falls. 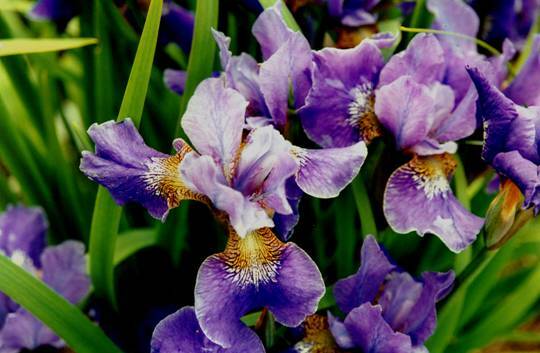 ​Lovely 5 ½" flowers are held on well-branched stalks. Dark blue falls contrast with lighter blue standards and are enhanced by green signals. 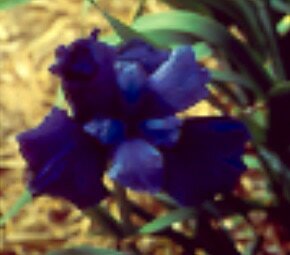 Form is round and ruffled. 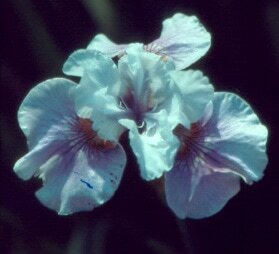 A lilac pink of lovely, ruffled form and color. 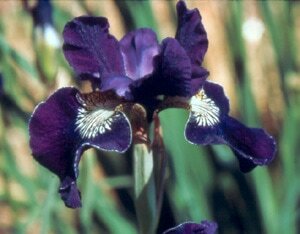 Standards and feathered styles form a white cup at the bottom of which are large purple spots. Falls are darker around the light yellow signals and green hafts. 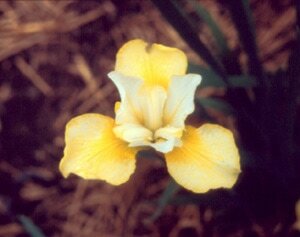 A charming light yellow-green bud first catches your eye. Standards and falls are white with lines of violet-blue and pale yellow-green. 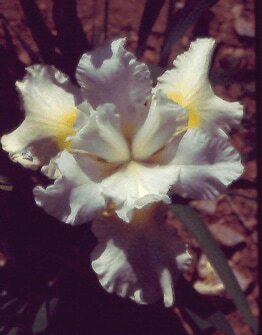 Signal is yellow- pale green at the center with feathered style arms. McEwen luck is the good luck that blessed Currier?s life. Two branches. 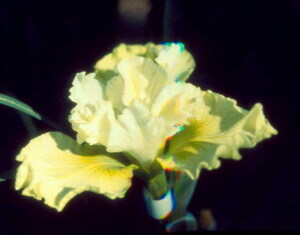 An 8th generation yellow-green tetraploid with round, ruffled form and tufted style arms. 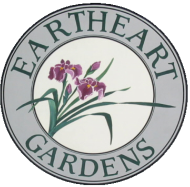 Our own Merryspring Nature Park in Camden, Maine is the inspiration for the name. 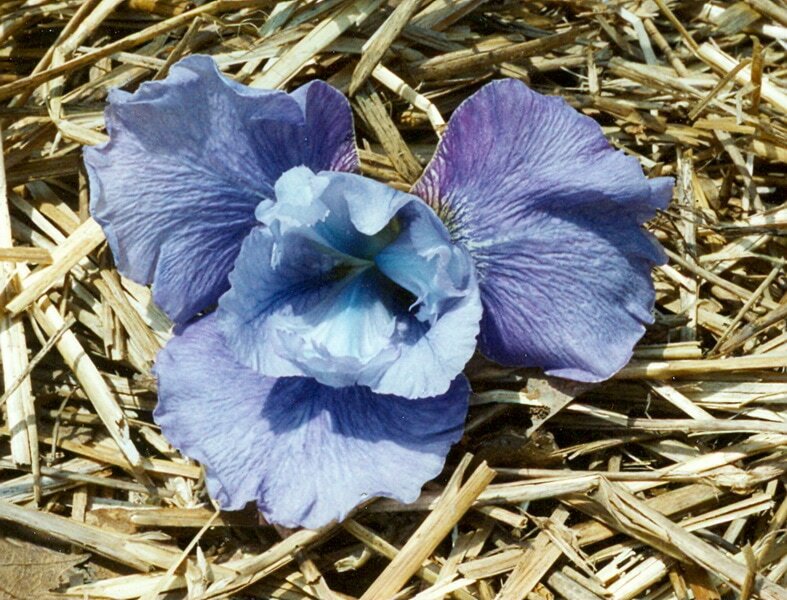 The flower has arching, ruffled form with diamond dusted dark violet-blue falls and standards. 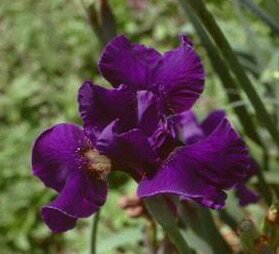 Style arms are tufted, ruffled violet. 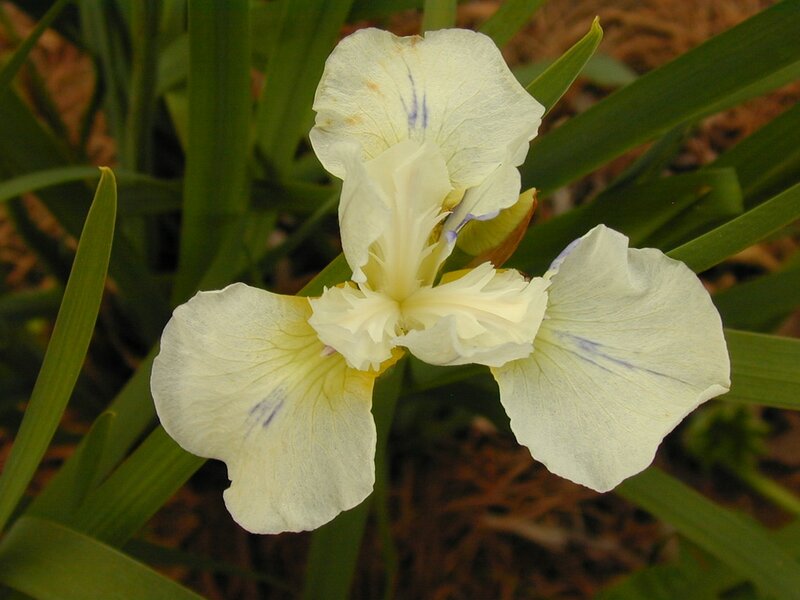 The flower blooms late with the Japanese Irises and miraculously repeats in the early fall. The overall flower effect is of a star studded midnight sky. The first Siberian to reach true blue in our gardens (RHS #100), Currier worked tirelessly to develop his 'Pride in Blue.